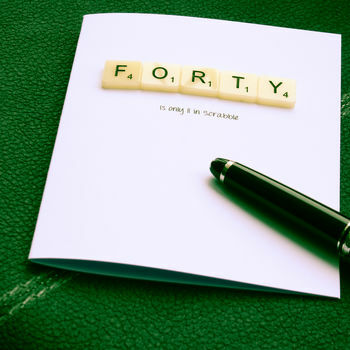 A Unique style Birthday Card with a cute little Scrabble tiles spelling out the word FORTY. 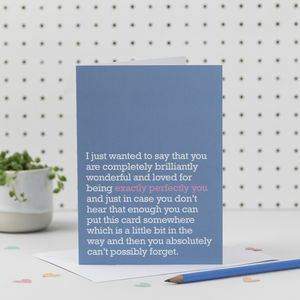 A charming little card with the added sentiment of 'is olny 11 Scrabble ' printed underneath the FORTY. The perfect handmade card for a landmark 40th birthday. Put a smile on their face on their special day! 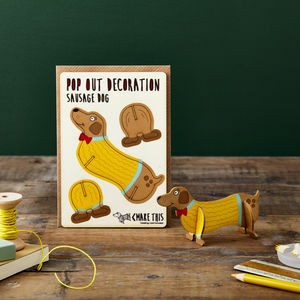 We have other 'big' birthday cards available for a 30th, 50th, 60th, 70th & even 80th - please see our other cards. 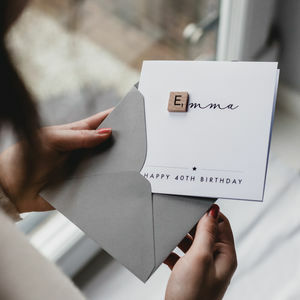 All of our cards are handcrafted to order. 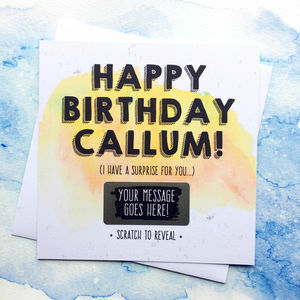 Made from smooth 290gsm white card and supplied with a matching white envelope within a plastic sleeve. This product is dispatched to you by Scrabble By Linda.